The reimbursement is calculated in the same way as if you had bought the medicine at a Danish pharmacy. Your CTR balance is DKK 4,000, and you are entitled to reimbursement of 85%. You buy medicine for an amount corresponding to DKK 110 in another EU/EEA country. In Denmark, the reimbursement price is DKK 100. You will receive DKK 85 from your region. Your CTR balance after this purchase is DKK 4,100. Your CTR balance is DKK 4,000, and you are entitled to reimbursement of 85%. You buy medicine for an amount corresponding to DKK 70 in another EU/EEA country. In Denmark, the reimbursement price is DKK 100. You will receive DKK 70 from your region. Your CTR balance after this purchase is DKK 4,070. Which documentation does the Danish Medicines Agency need to process my application for reimbursement? 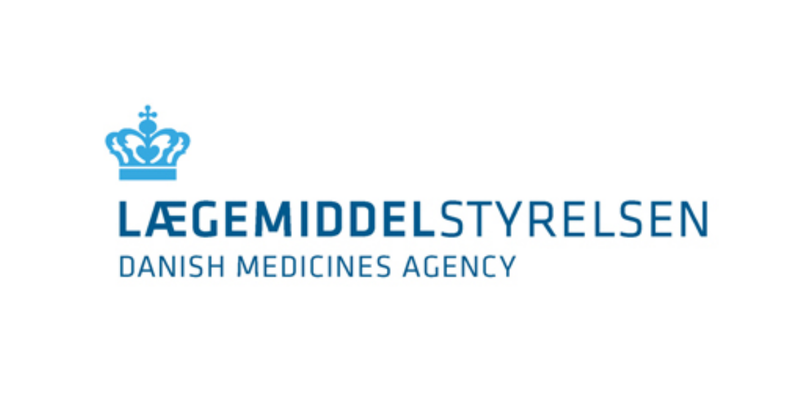 Please note that your application for reimbursement of medicines bought in another EU/EEA country must be submitted to the Danish Medicines Agency no later than one year after the time of purchase. If this deadline expires during a weekend, on a holiday, on the Danish Constitution Day (5 June) or on 24 or 31 December, the deadline will be changed to the preceding weekday. If we have not received your application for reimbursement within this deadline, your right to reimbursement has expired. We will process your application and send our decision to you. If the medicine is eligible for reimbursement, the decision will include a calculation of the reimbursement. We report the Danish reimbursement price to the Central Reimbursement Register (CTR), so that the amount is added to your CTR balance in the same way as if you had bought the medicine at a Danish pharmacy. We ask the region in which you live to reimburse you for the amount. The amount will be credited to your NEMkonto (Easy Account). If the medicine is eligible for reimbursement, we will report your purchase to the Shared Medication Record. When you are staying or travelling in another EU/EEA country, you are covered by the blue European Health Insurance Card. The European Health Insurance Card’s rules on reimbursement of expenses for treatment and medicine apply in parallel with the Danish rules on reimbursement of medicines bought in another EU/EEA country. However, you cannot obtain reimbursement under the Danish rules on reimbursement of medicines and under the European Health Insurance Card for the same purchase of medicine. In our application form, we ask you whether you bought the medicine in connection with necessary treatment during a stay in another EU/EEA country. In that case, you may also be covered by the European Health Insurance Card. If you do not want to check whether you can obtain a larger amount of reimbursement under the European Health Insurance Card, we will process your application as described under ”Processing” above. If you inform us in the application form that you have applied for or will apply for reimbursement of expenses for medicine from the Danish Patient Safety Authority under the European Health Insurance Card, we will inform the Danish Patient Safety Authority that you have applied to us for reimbursement of the same medicine. We will process your application and make a decision as to whether the medicine is eligible for reimbursement under the Danish rules and we will also make a decision as to the amount of reimbursement, if any. In the decision, we ask you to inform us whether you want to have the reimbursement paid out to you. When you inform us that you want to obtain reimbursement under the Danish rules, we report the Danish reimbursement price to the Central Reimbursement Register (CTR) so that the amount is added to your CTR balance in the same way as if you had bought the medicine at a Danish pharmacy. At the same time, we ask the region in which you live to pay out the reimbursement to your NEMkonto and we inform the Danish Patient Safety Authority that you have decided to be granted reimbursement of your medicine purchase under the Danish rules. If you decide to have your expenses for medicine reimbursed from the Danish Patient Safety Authority under the European Health Insurance Card, the Danish Patient Safety Authority will inform us that you have been granted reimbursement under the European Health Insurance Card. You cannot complain about our decision to another administrative authority, see section 168(3) of the Danish Health Act.